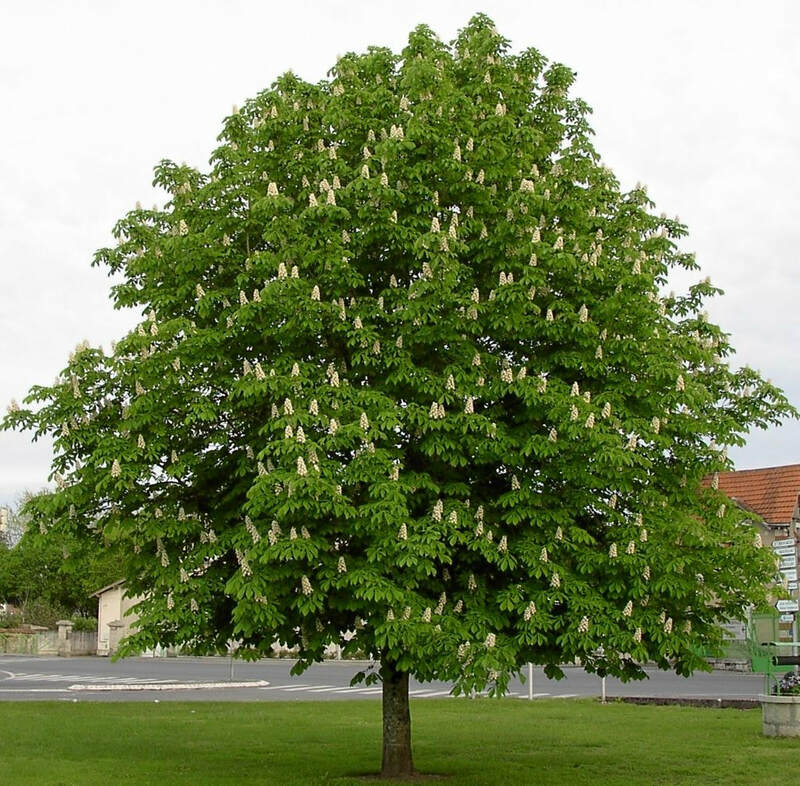 One of our most iconic and loved trees the Horse Chestnut is a true cracker. As with the majority of our trees we grow this one from seed, and one of my favorite times of year is early autumn collecting conkers from mature horse chestnuts, evoking childhood memories of kicking through leaves in search of the perfect conker. Its a large tree so don't be tempted to shoe horn it into a small front garden, but if you have a little more room then there are plenty of reasons to choose one. In late spring the erect clusters of flowers that cover the tree are predominantly white but are often tinged yellow and pink. Then throughout summer the spiky casings continued to form before falling in autumn and revealing their mahogany fruits. This tree looks as well planted in bold avenues along stately homes and palaces as it does scattered throughout the countryside or urban parklands. Its adaptive to these various locations due to its tolerance of a wide range of soil conditions and environments (air pollution, sea breezes).